Cosmetic dentistry is designed to improve the aesthetics of your smile while, in many cases, still providing functional benefits. These procedures offer more than just better-looking teeth, though. By enhancing your appearance, they help to stimulate the production of “happy hormones” like dopamine, serotonin, oxytocin and endorphins, which can have positive effects on your overall health. Stubborn teeth stains can leave your smile compromised, and once embedded, toothbrushing can’t remove them. The remedy is a professional-strength, take-home whitening kit from your cosmetic dentist. Using high-powered bleaches that are unmatched by over-the-counter options, this form of whitening will brighten your teeth by several shades in just two weeks of treatment. Another option for addressing any smile woes is the porcelain veneers process. The custom-designed, thin ceramic shells are made to fit directly over your teeth and mask such flaws as gaps, misalignments, crookedness and stains. In just two-to-three visits to your cosmetic dentist, you’ll have a completely revamped appearance! An alternative to the porcelain veneers method is the direct bonding procedure. It relies on your cosmetic dentist using a tooth-colored, resin compound to address chipped, gapped or stained teeth. The material is added to the flawed tooth and then shaped to fit perfectly into the smile line. Then, the shade can be adjusted to match your other teeth. Once the final image is attained, a special light is used to harden the material. In just one visit, you’ll leave the office with a beautifully remade smile! The start of a new year is the perfect time to rejuvenate your smile because you’re already excited about making improvements in every aspect of your life. The confidence that comes along with having a gorgeous set of teeth can then act as a catalyst that fuels the accomplishment of your other goals. So to experience the thrill of having an aesthetically-pleasing smile, contact your cosmetic dentist to schedule a visit today! Dr. Nelson Y. Howard earned his dental degree from the UCLA School of Dentistry. As an Accredited Member of the American Academy of Cosmetic Dentistry, he is an authority in smile aesthetics. Additionally, Dr. Howard is the President and Founder of the West Coast Society for Cosmetic Dentistry, and he’s also a member of the American Society for Dental Aesthetics. 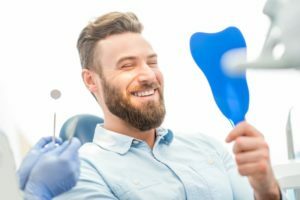 He makes patients smile with confidence by improving the look of their teeth at his private practice, and he can be reached for more information through his website.